On Sunday, December 2, parishioners of all ages are invited to come make Advent wreaths together from 9:30-10:30 AM in the Parish Hall. There is no need to sign up. Enough supplies will be available to make 30 wreaths on a first-come, first-served basis. One wreath per household please and a $5 donation would be welcome. Please bring supplies (additional greenery from your garden, ribbon, pinecones, etc.) from home to personalize your wreath or to share with others. You will also find it very helpful to bring small pruning scissors. Join us on December 2 as we celebrate the beginning of Advent and a New Church Year. Please note that Christian Education classes for children and adults will not meet on Sunday, December 2. 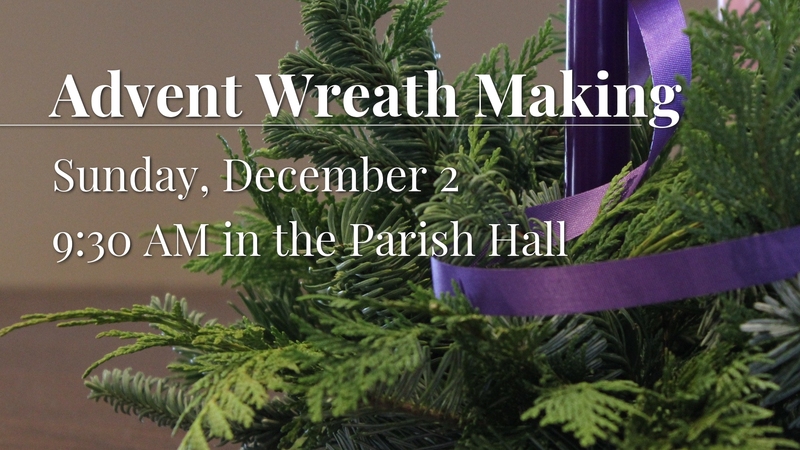 All are invited to join together in the parish hall for Advent wreath making. The youth will meet from 9:30 – 10:30 AM in the youth room. With the help of several parishioners, the visual arts committee has put together a series of images and words called Advent Images: The Gift of Reflection. Each day in Advent (December 2 – 24) one word and one image will be posted to our church’s Instagram account. Simply follow us at @gecgainesville to view and meditate upon the daily image. You can still view the images at www.instagram.com/gecgainesville, even if you do not have your own Instagram account. Our Instagram feed is also embedded here on our blog. It can be found just under the calendar of events. Advent, as Joan Chittister suggests, is the season that “teaches us to wait for what is beyond the obvious and trains us to see what is behind the apparent. Advent makes us look for God in all those places we have, until now, ignored.” What better way to slow down, to pay attention and to celebrate this season of waiting than to be reminded of what we are waiting for by sharing with each other our Advent Images: The Gift of Reflection. A couple of liturgical changes are happening beginning this Sunday, December 2. The 8:15 service will become Morning Prayer with Communion. We will share the readings of the day, a sermon, prayers, Holy Communion and an occasional hymn. Morning Prayer is a marvelous opportunity to share in the richness of our Anglican tradition. There will also be some worship bulletin changes beginning this Sunday. The early service will be a guided service without a bulletin and the bulletin at the later service will have a different design. At both services, copies of the readings will be made available for you to take as you enter the nave. 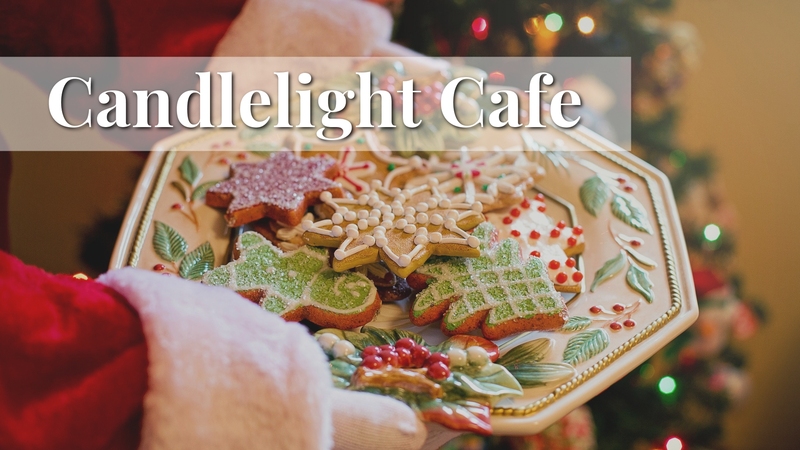 Parishioners are encouraged to come relax in Grace Church’s Candlelight Café during the holiday season! After dinner on December 5, 12, and 19 we will linger a bit over our coffee and dessert and enjoy programs for the whole family. The menu on December 5 is chicken piccata, salad, potatoes au gratin, whole green beans, rolls, cheesecake, pecan pie. The vegetarian entree option is eggplant parmesan and children are offered a 1/2 portion of the regular entree or PB&J, cookies. A nursery is available for children age 4 and under by reservation only. Older children are encouraged to participate in all of our Candlelight Café events. After dinner, we will celebrate the feast of St. Nicholas with cookie decorating for all ages and a visit from a special guest! 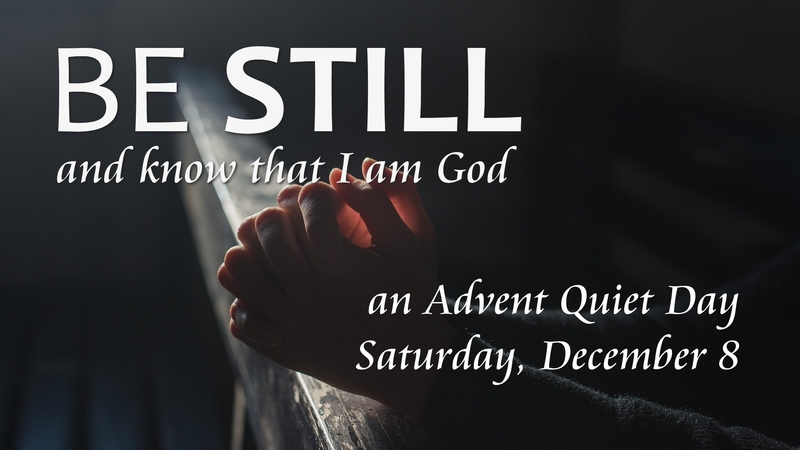 You are humbly invited to Be Still: an Advent Quiet Day Contemplative Experience sponsored by Grace Community of Hope on Saturday, December 8 from 9:00 AM-2:00 PM. The informal schedule will include opportunities to gather in community, pray, experience contemplative time and quiet activities, learn about and practice Centering Prayer, walk the labyrinth and more. Bring a journal if you choose. Feel free to drop in and out during the day as you are able. Lunch will be provided. Please register by December 6. The Patrick Kelley Memorial Blood Drive will be held at Grace Church on Saturday, December 8 from 10:00 AM until 2:00 PM in the youth room. To give blood you must be in good health, 17 years or older, or 16 with parental permission, weigh at least 110 pounds and show a valid photo I.D. Although appointments are not required, we do encourage you to sign up for a specific time slot, which will help keep the drive moving efficiently. Donors will receive a recognition item and will be entered into a raffle for a LifeSouth Gift Basket.